Little Dragons Café is the type of game I walk away from feeling more hopeful in the world. Each chapter ends on such an earnest note that it raises my spirits. Sure, it doesn't have the deepest mechanics, and it's not the most polished title I'll play this year. But it has a soul and a kind heart that uplifts the basic gameplay to a place that makes Little Dragons Café an easy recommendation to anyone looking for a soupcon of positivity in their life. There is almost nothing here to recommend. With its compelling story and characters, and engaging exploration mechanics, Little Dragons Cafè is a worthy spiritual successor to the original Harvest Moon, introducing some new mechanics that spice up the experience without doing away with what makes the series great. Some technical issues like bad performance and unresponsive controls, however, prevent the game from reaching its full potential. If you can look past them, however, you will find a surprisingly interesting adventure that it's more than worth the time of those looking for something relaxing yet involving. Would I recommend you buy Little Dragons Café for a child at its current price point? Absolutely not. There is plenty of content and it's a decent game, but there are a lot of other games that are on-par with this one that are selling for less than half the price. Until the price comes down, I can't in good conscience recommend that you buy it, and that's a shame. Little Dragons Café has the advantage of a more free structure, without the pressure of having to fulfil objectives at a certain moment and its open world adds up to its qualities. However this is not correctly used to deliver a fun, enjoyable experience, as the game gets repetitive too quickly and the free nature of its structure becomes void of a sense of direction, leaving the player without a proper guidance. Little Dragons Cafe is an adorable game that has Harvest Moon creator Yasuhiro Wada's DNA all over it. A charming world and characters give the game the kind of warmth one would expect from a Wada game. At the same time, its multiple gameplay elements can lead to haphazard focus at times. It doesn't mean using multiple mechanics is wrong. Like any dish with multiple ingredients, it just needs extra time in the oven for all those extra components to meld into one delicious whole. Even with its technical flaws and progression structure problems, I still can't bring myself to dislike Little Dragons Café. When Little Dragons Café hits its stride mid-game, it is indeed a beautiful, relaxing, and wholesome experience that I would recommend to those looking for a more laid back title to cleanse their palette before this busy fall season. That being said, enough problems did persist to still make it a tad disappointing. Little Dragons Café may be worth waiting on until some technical issues are fixed and the price drops if the incentive of raising a dragon isn't enough for you. From exploring different areas to serving customers, there's always something to do in Little Dragons Cafe. The Nintendo Switch is also the perfect platform for the game, letting you pick up and play after a long day. While it definitely isn't Harvest Moon or Stardew Valley, Little Dragons Cafe manages to stand on its own and offer a simple, charming experience that's easy to love in spite of the technical issues. 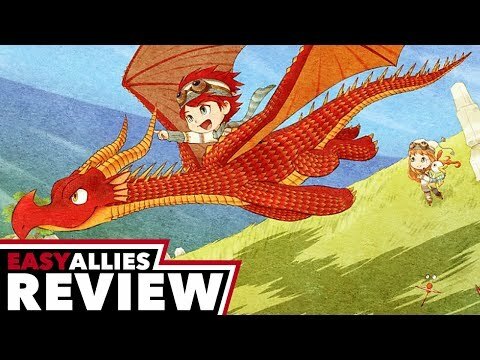 Little Dragons Cafe is an incredibly unique, genre-blending experience that suffers from performance issues and some overall rocky gameplay.